Our hearts are broken and we can’t stop crying while writing these lines. It’s so hard that words are just not enough to describe how we feel, just as there simply are no words to describe all the thoughts that are going through our minds right now. What is a letter, a word …. in comparison to our beloved Ari and his warm eyes full of love, to his soft and gentle paws, to his silky ears, the cutest little nose, to all that Ari was, is and forever will be. To see him was to love him. He made friends so easily everywhere he went. To have him in our lives was to live in a fairy tale. We adored him and will continue adoring him as long as we live. We would give a world just to be able to look into your loving eyes again and to be able to hold you and talk to you, or sing to you, or just be with you, surrounded by peace and mutual understanding. Your bed is still here and our hearts still beat as one as the candle burns trying to comfort us with its flame. We can still hear you breathing while sleeping on your favorite pillow. Your breathing was our favorite sound in this world. It’s just so empty without you on your favorite spot, dear Ari. We know that we just have to look into our hearts to find you, see you and feel you. You are always by our side, watching over us, protecting us and loving us as you used to during our wonderful thirteen years, two precious months and eleven magical days together. We can never part, never…. Your love is the greatest gift and we know that you will always love us and stay by our side, just as we will always love you, cherish you and adore you. Days will go by and our love will grow and grow. It just hurts so much not to be able to see him physically, to pet him and kiss him. Suddenly, minutes last longer and the hours turn into days….without our loving Ari. Every moment, every room, every street, every encounter, every step we take is so empty and sad without him. We miss him so much it hurts. Ari is written all over our hearts and minds. We were and we still are one soul whose parts met on this journey we call life. If somebody asked us: How did it feel to find each other and begin your lives together? We would simply say: We all felt like coming home after a long journey. When we met, our soul was complete and we were finally home. Therefore our beloved Ari will always be with us because he was a part of us even before he came into our lives as the greatest and most precious gift. We know he would suffer to see us so sad and heartbroken… He loved our joy and laughter and that’s where we will keep coming back to in our memories. To have such a great, loving, kind, gentle and sweet companion like Ari was a true blessing. He was very happy with us and we took such good care of him, making his every wish come true…. Ari’s love was a love from a better world and we can never thank him enough for showing us that better world, for making our dreams come true. It’s just not enough to say – Thank you, our dearest Ari. Thank you so much for your love and friendship… Thank you for your eternal faithfulness, your loving comfort, thank you for all your patience and kindness, thank you for your wisdom and all the advice you gave us…. Thank you, thank you, thank you, thank you for every precious moment we shared from the bottom of our hearts. You made this world a better place and the memory of your glorious life will live on in so many ways. Our love for you will go on forever and will continue growing every day. Words are just not enough to express our enormous love for you, just as they are simply not enough to describe our pain right now. We remember every little moment spent together, all the wonderful and interesting people and their companions we met together (from our first evening walk when we met Emma, to Ivan, Zen and Perdita, Terry Davis, Gustavo, Homer, Marina and Dubravka, Susan, Biljana and Mickey, Ljubica, Rajko and Ella and many, many others), all the nicknames we gave to Ari (Aruli, Chicco, Bubi, Bubu, Angel Boy and our favorite – Digi), we remember all of our days and nights together, all of our mornings, afternoons and evenings, all of our journeys and late working hours, all of our games and quite family evenings, all of our springs and summers spent by the sea and all our autumns and winters when we slept together making each other warm. New days are now ahead of us and our memories with Ari remain behind. Although we know that time is the greatest healer, we simply cannot give a promise to grieve not as William Wordsworth wrote in his poem “Splendor in the Grass” , but we know we will find strength in what remains behind. The memories we have together will be our strength in the days ahead. We will keep our loving memories with Ari in our hearts and minds FOREVER and we will always be grateful for Ari’s LOVE and cherish all our moments together, from the moment he entered our lives and our hearts as the cutest pug puppy in the world, to his joyful youth and his mature and older days. Years went by, thirteen wonderful years, two precious months and eleven beautiful days with our beloved Ari and every day we loved each other more and more. That’s why our dream can never end. It simply can’t. Our song and our dance will never end. We will always be together, we will always be one soul, one heart, one mind, one world, ONE DREAM. We will keep creating new lyrics to every song we love, adapting it to our world of dreams, dedicating it to you, our precious angel, our biggest love, our beloved Ari and we know you will hear us sing to you and be happy. Our dearest Angel Boy, our dearest Digi, may God be always by your side and may you Rest in Peace and dream the sweetest dreams while we watch over you. In the morning I will give the nameless slave his name and we will make our way to you. I miss my loves with all of my heart. It is only hours now that keep us apart. My long road home is almost at an end. If you get this before I make it to you don’t hesitate to call me. I wait with bated breath to hear your voices and taste every kiss. Vidjeti kristalno čisto plavo nebo, sunce i dugu… Vidjeti Tebe u svakom danu… Hvala Ti što si uz mene, najdraži moj Anđele. Čuvam Te i volim kao i Ti mene. S Tobom sam. Jedno smo u vremenu, jedno u vječnosti… Trajemo u vremenu i prolazimo kroz vječnost zajedno. Korak uz korak. Moj dah je Tvoj. Vjerni smo našoj ljubavi. Prije, za vrijeme i poslije svega. Ti i ja. Ljubav najveća. My darling Diggy, I miss you so much all the time, but I feel your presence and it comforts me as I walk along. I always knew we could never be apart. You live in my mind and in my heart. I love you more than words can say and you are with me every step of the way. All of our memories are so much alive, all of our kisses and hugs will forever be a part of me. Our souls are one. Our hearts beat as one. I love you, my sweet Ari. I love you more than words can say. You are always in my heart and you are there to stay. Thank you for being here for me all the time. I’ll always be here for you. We’ll be together ALWAYS AND FOREVER. My dearest Ari, here I am just to tell you how much I love you, just to let you know I am always by your side. Your love is the biggest blessing and I will cherish You forever and our memories will always have a special place in my heart. Your love will always be there to give me strength and to remind me that I am not alone. My love for You can’t be described in words, just as Your love for me. Words are not enough to describe such a connection. I would give the world to hold You in my arms, my dearest Ari. We are always together, You are my every thought, You are my life. I am holding You right NOW in my heart and in my mind, our souls are ONE. 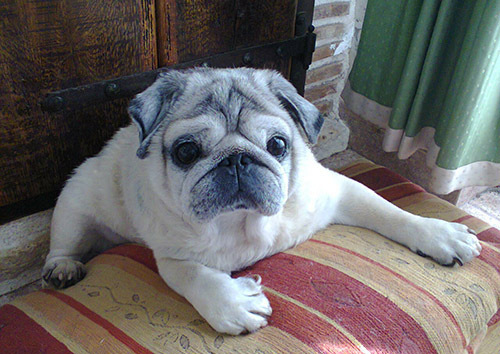 My, Angel, My Saint, My Everything…MY ANGEL PUG ARAMIS GIVING OF GOOD. MY GUARDIAN ANGEL. MY LOVE. My dearest Angel Boy, we know that you are with us all the time, just as we are with you. Wherever we go and whatever we do, you are with us, because you are in us, you are a part of us – we are ONE. We love you more than any words can say. You are our blessing, our joy, our guding light, our sweet Angel Boy. Thank you for your sweet love and protection. Thank you, thank you, thank you… Thank you for the comfort you are giving us through your sweet visits from the Rainbow Bridge. Million Pug Hugs and Kisses!!!!!! We will always have our special world of dreams. We will always have your love as the greatest blessing. We love you with all our hearts. My dearest Ari, my Angel, your love will always be our greatest blessing, our greatest strength, our biggest joy, our biggest pride and our guiding light to Eternity. All of our memories are so much alive and getting more and more alive each day. Time can never heal the wound of our loss and the pain that we feel, but our pain is also our strength and it gives us inspiration to live the way you would want us to and to be the people you would want us to be. We love you with all our hearts, our love is and always will be your home just as your love is our eternal and most wonderful home. We think about you all the time with greatest adoration and respect. Our hearts are ONE!!! We are sending our love YOUR WAY and giving you a special PUG HUG. I never ignore the coincidences, those valuable clues from the Universe. When a coincidence happens, I immediately ask myself – what was the message here and the answer always comes to me sooner or later. I always know exactly what a certain coincidence was trying to tell me. Today one of them happened and it was a message from my sweet Ari, yes, you, my love. Thank you for that sweet message. I loved it so much. It was so moving, I knew it was you telling me not to worry. Albert Einstein said that coincidence is God’s way of staying anonymous. Maybe there are no coincidences at all, they are too coincidental to be coincidences… They seem like small miracles, angelic messages… That’s why I never ignore them. I love you Ari, thank you for your sweet messages. My sweet Angel, thank you for visiting me in my dreams and telling me: ALL IS WELL….ALL IS WELL. Thank you for smiling at me and letting me know that you are fine and telling me not to worry. Inner peace is the beginning of everything. You told me that. Thank you for all your wisdom, my sweet Angel, I will keep on living the way you told me to….with you and your love by my side and in my heart and mind. It’s the only way for me. I love you with all my heart, sweet Diggy!!!! God Bless YOU! Here I am, visiting your memorial site and thinking of you, thinking of all the great and precious moments we spent together… Being by your side was the greatest feeling, being together with you was the greatest togetherness. I miss you so much, dearest Ari. It’s a Sunday evening and I keep looking for you everywhere, I keep listening hoping to hear you… I miss our sweet moments together. I would like to hold you so much…Please Know that you are always on my mind. I am always by your side. I Know where I can always find you – deep in my heart – AND THAT’S HOW IT WILL BE FOREVER. Koliko sreće, koliko ljubavi, koliko dobrote, koliko blaženstva, koliko mira i međusobnog razumijevanja u svakom trenutku proživljenim s Tobom, najdraži moj Ari, to je neopisivo i riječima nedokučivo. Sve riječi ovoga svijeta nisu dovoljne niti dostojne opisati Tvoju neizmjernu dobrotu i ljubav. Tebi riječi nikada nisu bile potrebne, dovoljan je bio pogled i sve bi bilo jasno. Tvoj pogled pun ljubavi i danas me prati u svim mojim danima i daje mi snagu da i dalje sanjam bolji i sretniji svijet koji smo zajedno živjeli. Uvijek si sa mnom, u meni, pokraj mene, uvijek tu negdje oko mene, uz mene, Ti si dio mene i to ćeš uvijek biti, Ari moj najdraži, uvijek ću Te voljeti svim srcem, zlato moje, ljubim Te u najslađe okice!! 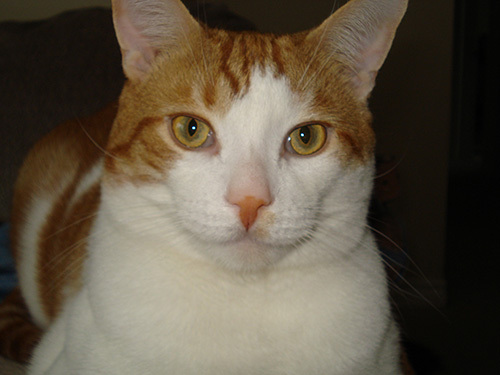 My dearest Ari, you will always be my sweetest boy, my darling angel, my warm companion. I can see you and feel you everywhere. I know you are with me all the time. I can feel our strong connection. How can we ever be apart? We are ONE…., ONE HEART, ONE SOUL, ONE WORLD, THE WORLD OF THE MOST BEAUTIFUL DREAMS!!!!! I love you with all my heart, sweet Angel! My Darling Diggy, we are listening to our favorite CD – WHISPER OF THE WIND while the wind is blowing outside and whispering all the stories of our love to us, all the told and untold stories that we carry in our hearts and minds. They say that all the mysteries of life are hidden in the breeze. The wind is so mystical and it is believed that it also has a healing power. It seems so real, and yet so transcendental, so close and yet so far away… The wind has no beginning and no end – it never ceases to move. All the questions we might have, all the answers that want to come to us who dare to ask them, they are all hidden in the wind, in the eternal wind of comfort that always enters our lives like the sweetest message from someone very dear to us… Listen to the WHISPER OF THE WIND, it might tell you the sweetest words… Thank you for your sweet love, dear Ari, you will always be loved and adored. Our love is like the WIND, it has no beginning and no end…. So sweet, so tender, so loving and so special, our dearest Ari, our Angel Boy. We will always be together and we will keep meeting on both sides of the Rainbow Bridge. Nothing can separate us, we belong together. One BIG Kisssss and a special Pug Hug from both of us!!!!!! I am sending you all my love and lots of blessings!!!! Always in my heart, always!!!!!!! MY DEAREST ARI!!!!! MY ETERNAL GUARDIAN ANGEL!!!!! I ADORE YOU!!!!!! Najdraži moj Ari, vječno ćemo biti skupa!! I uvijek ću Ti pjevati Tvoje najdraže pjesmice!!! Naš najdraži Ari, uvijek pun ljubavi za sve ljude svijeta, uvijek pun nježnosti i razumijevanja. Kada netko kao Ti, anđele naš najmiliji, čini ovaj svijet boljim nego što jest, tada on živi vječno!!!!! Za Tvoju neizmjernu dobrotu i veličinu Tvoje duše vrijeme ne postoji. Naša ljubav prema Tebi nema granica, beskrajna je! Ari živi vječno!!!!!!! Pusa najveća!!!!!! Dearest Ari, I am sending you all my love. I want you to know how much I miss you. You will always have the most special place in my heart, my dearest angel. Rest In Peace while we watch over you and sing your favorite songs. I love you with all my heart and am sending you the biggest kisssssssssssssssssss!!!! KISSSSSSSSSSSSSSSSSSSSSSSSSSSSSSSSSSSSSSSSSSSSSSSSSSSSSSSSSSSSSSS TO THE SWEETEST PUG IN THE WORLD. Our dearest Ari, today is the saddest day of the month, we love you with all our hearts and miss you all the time. The candle is beside your photo and our prayers are with you, our sweet angel. Remember our promise – we will always be together. Najdraži moj Ari, volim Te najviše na svijetu! Znaj da si uvijek u mojim mislima i da nema riječi kojima bih Ti mogla zahvaliti na Tvojoj svetoj ljubavi, anđele moj, svetinjo moja. Riječ HVALA nije dovoljna da izrazi ono što osjećam prema Tebi. Ti si više od svijeta, Ti si više od svega, Ti si predstavnik boljeg svijeta, onakvog kakvog sanjamo i hvala Ti što si nam pokazao kakav je to svijet… Obožavamo Te i stalno smo s Tobom, Digi naš najdraži…. Stalno…. NAŠA LJUBAV NE POZNAJE NI GRANICE, NI VRIJEME, NAŠA LJUBAV JE VJEČNA!!!!! TISUĆU PUSICA!!!!!!! KISSSSSSSSSSSSSS!!!!!!!!!!!! Thank you so much for your kind words of compassion, dear Hope. You are not alone. We are so sorry to hear about the loss of your precious Daisy Mae who was much loved and will be missed forever. Ari and Daisy Mae are our precious angels who will be with us forever. We miss our dearest Ari every day and it’s the worst silence in the world, you are so right. I’m so sorry. Ari was quite loved. I just lost my Daisy Mae. It’s the worst silence. We miss your sweet presence, your loving eyes, we miss our precious moments together. Every moment with you was a blessing and we will always cherish our sacred memories!!!!! We love you with all our hearts, Diggy Boy!!!!! The past month has been the saddest month of our lives. We miss you so much and not a second goes by without us thinking of you and loving you with all our hearts. God Bless You, Sweet Angel!!!!!! Najdraži moj Aribaldi. Bubice moja najslađa, Čuči moj mali, Digi moj prelijepi, Pepi moj preslatki, nema ljubavi kao što je Tvoja, nema prijateljstva kao što je Tvoje, nema dobrote kao što je Tvoja, nema pogleda punog najčišće ljubavi kao što Tvoj, nema, nema… Nema šetnjice kao što je najmilija nam šetnjica s Tobom, nema toplog i mirnog sna kao što je san s Tobom, nema mekog i toplog zagrljaja punog beskrajne ljubavi kao što je Tvoj, Ari moj najdraži, bebice moja. Nema tišine kao što je tišina s Tobom, naša prekrasna tišina puna ljubavi, zajedništva, mira i prelijepih riječi. U toj našoj tišini bilo mi je uvijek tako milo, toplo i lijepo – zbog Tebe, Anđele moj. Uz Tebe sam se uvijek osjećala blagoslovljeno i zaštićeno. Danas Te u toj tišini najviše osjećam i znam da si uvijek uz mene. Ti si Anđeo Boljeg, Sretnijeg i Mirnijeg Svijeta, Svijeta punog Ljubavi i samo Ljubavi. Svojom neizmjernom dobrotom, svojom bezuvjetnom i neizmjernom ljubavlju, svojom beskrajnom toplinom srca, svojim razumijevanjem, mirnoćom, svojom pažnjom, odanošću, iskrenošću, svojom neiscrpnom brigom i beskrajnim strpljenjem, svojom drevnom mudrošću te neviđenom nježnošću i blagošću obogatio si moj život zauvijek i znaj da ću uvijek živjeti čuvajući Te u svom srcu kao najveći blagoslov i najveće blago. Ljubi Te, grli, mazi, voli, poštuje, klanja Ti se i obožava Te Tvoja Eli, Anđele moj najslađi, najvoljeniji!!!!!! Uvijek ćemo biti skupa!!!!! Uvijek! Ti si u meni, ja sam u Tebi, Ti si ja i ja sam Ti!!! Hvala Ti što si izabrao baš mene, hvala Ti što si odlučio biti baš moj. Vrijeme nama ne može ništa, jer zajedno smo dotaknuli vječnosti!!!! Pava – pava – pavalica moja mala….a ujutro ćemo ponovno na naše stazice digi – digi, pa nešto fino papi – papi, piti – piti, pa našu kavu – kavu i pričati našim jezikom, igrati se, voljeti se i doticati vječnost, prkoseći našom ljubavlju ovom okrutnom i bešćutnom svijetu……VOLIM TE NAJVIŠE NA SVIJETU!!!! I adore YOU, Angel Boy. You are always in my heart!!!!! We miss you so much and we want you to know how much we love you, Angel Boy. Remember our promise… We are always together. Always, my love. Thank you for your sweet visit and for all the signs you are sending our way to let us know you are by our side. We are by your side, watching over you with all our love. BIG KISSSSSSS and BIG HUG!!!!!!!!!!!!!!! thank you so much for visiting me in my dreams and giving me comfort. Thank you, my sweet love. I love you so much, Angel Boy. You are always on my mind and in my heart. we promised each other that we would always be together and that’s how it will be. P.S. Dear Ana, thank you so much for your sympathy, that’s so kind of you. I adore you and I would give the world to have you back in our lives. I’ve never been so sad in my life. You were my best friend, my most faithful and devoted companion, my greatest protector, my greatest strength. How can I ever thank you for all your love? I will keep you in my heart and in my mind forever as the most precious treasure. Having you in my heart is a blessing and it makes me the richest man in the world. Nothing can replace your love and devotion. Nothing. I adore you, my sweet Angel Boy. Every second without you is a century, we love you with all our hearts and our thoughts are with you every step of the way. Our steps are your steps, our eyes are your eyes. Our hearts are always together, our Angel Boy. Thank you so much for your blessings and your unconditional love. We miss you soooo much it hurts. The world is so empty without you. You made our world so bright. We are kissing you and watching over you all the time. May God hold you on the palm of his hand and may the angels sing the sweetest songs to you while you dream the sweetest dreams…. God bless you, DEAR ARI!!! My sweet little Ari! Thank you for all the happy and unforgettable days we spent together, days full of unconditional love! I will always carry you in my heart, my dearest friend! Dearest Ari! Your real name Giving of Good will always be on my mind and you will always be in my heart. You were such a Good Boy, my sweet Diggy. May God hold you on the palm of his hand, dearest Diggy!